Things in my part of West Virginia have been pretty cold and wet recently. 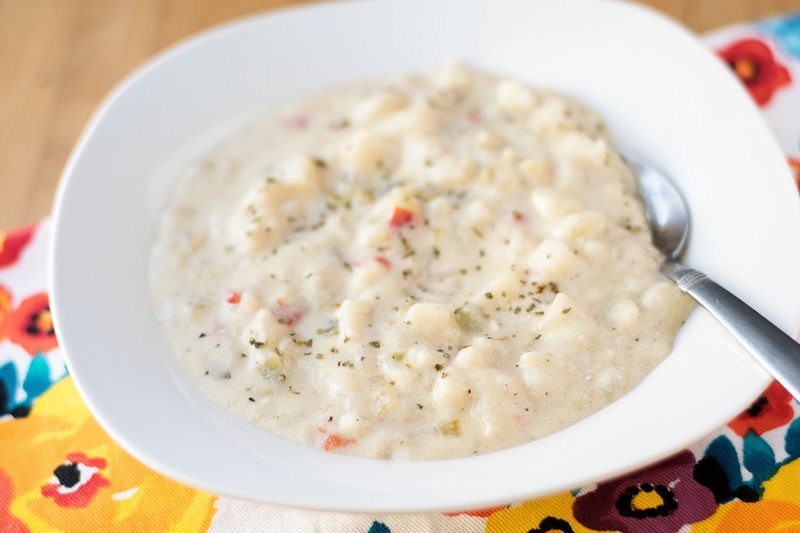 When the weather gets like this nothing beats a warm and hearty potato soup. In fact the ONLY way this soup could get better is if it were made in a crockpot! Let's talk potatoes. When testing this recipe, I tried all varieties of frozen and fresh potatoes. By far Studhubs and I's favorite was the southern style with the peppers and onions. If that's not your thing, just know that this recipe will work with any kind of potato you choose. You'll just need to add 1 diced onion if you use something different. To begin you will pour the frozen potatoes into the crockpot. My mom has always said that the key to a great potato soup is the celery and onion. I agree 100% so, add the diced celery (and onion if you are not using the southern style potatoes). After that you will combine the chicken broth and cream of celery soup together in a large mixing bowl. You don't have to do this step, but I think it helps the broth come out better than just dumping it all into the crockpot. Pour over the potatoes in the crockpot. Give everything a nice little stir. set on LOW for 6 hours. Cover once again and cook the remaining time left. Stir until smooth and creamy and Enjoy! 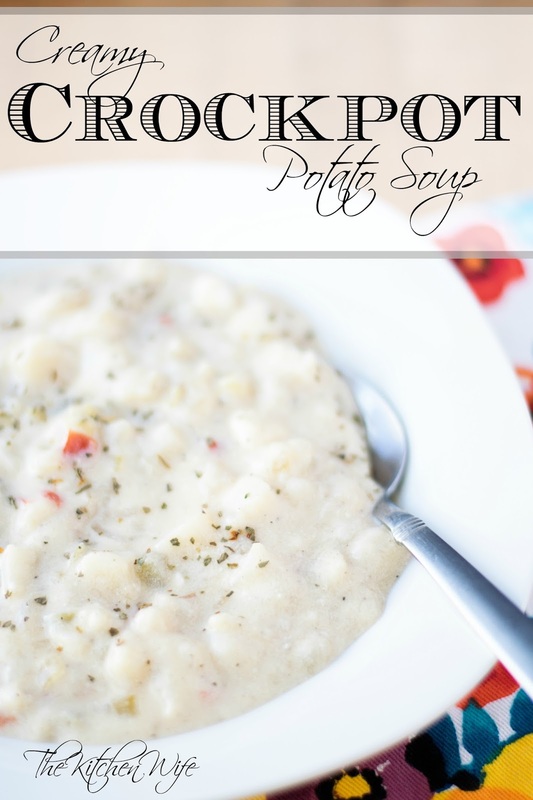 This Creamy Crockpot Potato Soup Recipe is so easy, and the flavor is out of this world! I'm not lying when I say that I enjoy it more than my own homemade Creamy Potato Soup! The peppers and onions in the southern style blend potatoes are a real game changer that I KNOW you and your family will love! I can't wait to hear what you think and if you make this recipe be sure to post a picture and tag me using #thekitchenwife ! Add your potato of choice to the crockpot. In a mixing bowl combine the cream of celery soup, chicken broth, seasoning salt, and pepper. Whisk until smooth and pour over the potatoes in the crockpot. Set the crockpot to LOW and cook for 6 hours. 30 minutes to 1 hour before you are ready to eat, cut the cream cheese into bite-sized cubes and add to the crockpot. Cover and cook for the remaining time. Stir until smooth and creamy. This make take a few minutes.